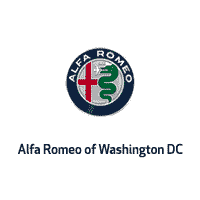 Contact Alfa Romeo of Washington, DC today for information on dozens of vehicles like this 2019 Alfa Romeo Stelvio Quadrifoglio. This SUV gives you versatility, style and comfort all in one vehicle. Pull up in the vehicle and the valet will want to parked on the front row. This Alfa Romeo Stelvio is the vehicle others dream to own. Don't miss your chance to make it your new ride. You'll love the feel of AWD in this 2019 Alfa Romeo Stelvio. It provides a perfect balance of handling power and control in virtually every driving condition. Just what you've been looking for. With quality in mind, this vehicle is the perfect addition to take home.